Please join us on April 13th for the screening of Spell Reel and double book launch of Luta ca caba inda. Time Place Matter Voice. 1967 – 2017 and The Struggle Is Not Over Yet. An Archive in Relation. Organised in collaboration with Nô Lanta Djunto e.V. The Struggle Is Not Over Yet. An Archive in Relation. 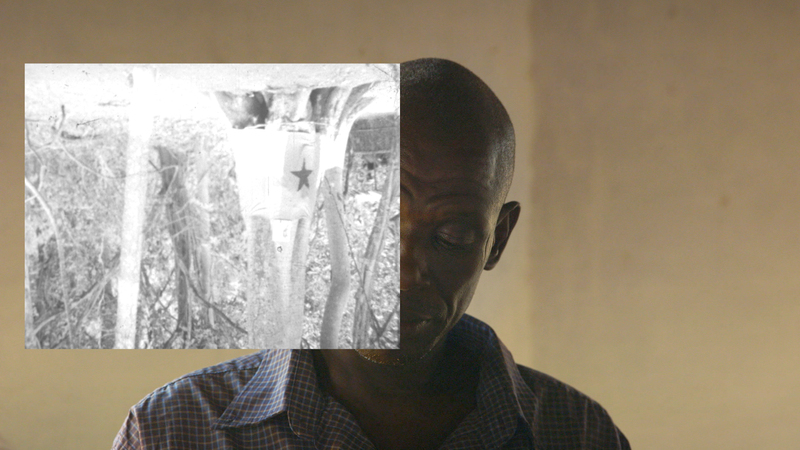 An archive of film and audio material in Bissau. On the verge of complete ruin, the footage testifies to the birth of Guinean cinema as part of the decolonising vision of Amílcar Cabral, the liberation leader who was assassinated in 1973. In collaboration with the Guinean filmmakers Sana na N’Hada and Flora Gomes, as well as many allies, Filipa César imagines a journey wherein this fragile matter from the past operates as a visionary prism of shrapnel, with which to look through. Digitised in Berlin and screened at various locations – in what would come to resemble a transnational itinerant cinema – the archive convokes debates, storytelling and forecasts. From their screening in isolated villages in Guinea- Bissau to European capitals, the silent reels are now a place from which people may search for antidotes to a world in crisis. Filipa César is an artist and filmmaker interested in the fictional aspects of the documentary praxis, the porous borders between cinema and its reception, and the politics and poetics inherent to moving image. Since 2011, César has been looking into the origins of cinema in Guinea-Bissau as part of the African Liberation Movement, its imaginaries and cognitive potencies, developing that research into the long term collective project Luta ca caba inda (the struggle is not over yet). Selected Film Festivals include Forum and Forum Expanded, Berlinale; IFFR, Rotterdam; Doc Lisboa; Torino Film Festival. Selected exhibitions: Manifesta 8, HKW, Berlin 2011; Jeu de Paume, Paris 2012 and 2016; NBK, Berlin 2014; Khiasma, Paris 2015; Mumok, Vienna 2016; Biennial Contour 8, Mechelen 2017. What if it won’t stop here?